* The SUGAR Group is not responsible for the content of your presentation and will regularly post a disclaimer to this point during the broadcast. * The SUGAR Group reserves the right to refuse this service to any one at any time. * The cost of the service is $209 for the first webcast within a calendar year and $159 for each webcast in the calendar year after the first . * Webcast service must be scheduled and approved by TSG 60 days in advance of the webcast date. * The SUGAR Group will provide training for one of your staff members to run the program, but will set up the meeting for you. * At least one SUGAR Group staff member will be online at all times during the webcast and will terminate the webcast if we feel it is inappropriate. 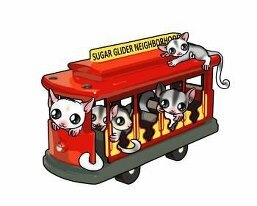 * The SUGAR Group is not responsible for matters pertaining to your internet service. * Payment for the service must be made in full 45 days prior to the event. Refunds will only be offered if the event is cancelled amicably or in the event of natural disaster or family tragedy. For events cancelled 44-1 day prior to the event date, a refund of $100 will be awarded. * TSG will not be responsible for putting together any of your broadcast materials, ads, etc. * You will be responsible for providing your own equipment. * Advertisement for The SUGAR Group necropsy effort and surveys will be posted during your event and you must also mention them both verbally during the webcast. Please contact The SUGAR Group for more information at www.sugargroup.org or email us at sugargroup@hotmail.com.